Posted September 20th, 2017 by hannahmussey & filed under Annual Events, Temecula Weddings, Uncategorized. Posted August 6th, 2016 by Barry Berndes & filed under Bay Park, Bay Park Restaurants, Italian, Mission Valley Restaurants, Restaurants. Posted December 14th, 2015 by Jake Amen & filed under Banquet Venues, Banquets & Catering, Breakfast & Brunch, British, British, Corporate Meeting Venue, International Restaurant Row, Mission Hills Breakfast, Mission Hills Events, Party Venues, Uncategorized. Posted November 30th, 2015 by Barry Berndes & filed under Middletown, San Diego International Restaurant Row, Suburbs, Uncategorized. Posted October 13th, 2015 by Barry Berndes & filed under Banquet Venues, Banquets & Catering, Bay Park, Bay Park Events, Bay Park Rehearsal Dinners, Bay View, Beer & Wine, Cakes & Desserts, Catering, Central San Diego, Clairemont, Dining With Views, Gastro Pub, German, Neighborhoods and Suburbs, Party Venues, Rehearsal Dinners, Uncategorized. Posted October 6th, 2015 by Barry Berndes & filed under Banquets & Catering, Coronado, Coronado Breakfast, Coronado Events, Coronado Restaurants, Coronado Weddings, Dining With Views, Restaurants, Seafood, Seafood Fine Dining, Temecula. Posted May 20th, 2013 by Barry Berndes & filed under American Diner, Banquets & Catering, Banquets and Catering, Breakfast & Brunch, Corporate Meeting Venue, Hamburgers, Kearny Mesa, Kearny Mesa Restaurants, Kid-Friendly Restaurants, Kids Party Venues, MCRD Graduation Party Venues, Mission Valley, Mission Valley Breakfast, Mission Valley Restaurants, Party Venues, Restaurants, Video, Wifi. Dine here once and you’ll undoubtedly become a regular. The reasons are simple: the food tastes great; pretty, young, high-energy servers provide excellent service and the atmosphere is upbeat and friendly. Plus, the retro decor, which is fashioned after a 1940s railroad dining car, is sparkling new and stylish. Posted May 19th, 2013 by Barry Berndes & filed under Banquets & Catering, Bay View, Coronado, Coronado Restaurants, Corporate Meeting Venue, Del Mar, Del Mar Restaurants, Free Reservations, happy hour, Happy Hour, Italian, Italian Gourmet, Nightlife, North County Coastal, Ocean View, Party Venues, Rehearsal Dinners, Restaurants, Restaurants. Posted April 24th, 2013 by Barry Berndes & filed under Asian, Banquets & Catering, Breakfast & Brunch, Catering, Corporate Meeting Venue, Military Wedding Venues, Party Venues, Rehearsal Dinners, Vegetarian, Vietnamese, Wakes & Funeral, Wedding Venues. Posted April 16th, 2013 by Barry Berndes & filed under Banquets & Catering, Catering, Chinese, Corporate Meeting Venue, Downtown Restaurants, Hillcrest, Hillcrest Restaurants, La Jolla, La Jolla Restaurants, Party Venues, Rehearsal Dinners, Restaurants, Wakes & Funeral. Posted March 5th, 2013 by Barry Berndes & filed under Banquet Venues, Hotels & Resorts, Military Wedding Venues, Party Venues, Wedding Venues. Posted January 23rd, 2013 by Barry Berndes & filed under Asian, Asian, Banquets & Catering, Breakfast & Brunch, Cantonese, Cantonese, Chinese, Corporate Meeting Venue, Dim Sum, Dim Sum, Kearny Mesa, Mission Valley Breakfast, Restaurants, Restaurants, San Diego Breakfast, Seafood, Seafood Fine Dining. 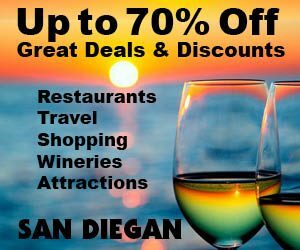 Posted March 1st, 2011 by Barry Berndes & filed under Home Page Content, Restaurants, Restaurants, San Diego Coupons. Posted December 28th, 2010 by Barry Berndes & filed under Banquets & Catering, Carlsbad, Carlsbad Restaurants, cuisine, location, Rehearsal Dinners, Restaurants, Suburbs. Posted November 14th, 2010 by Barry Berndes & filed under Brazilian, Corporate Meeting Venue, Party Venues, Rehearsal Dinners, Steak House. Posted October 29th, 2010 by Barry Berndes & filed under American, American, Banquets & Catering, Bar, Breakfast & Brunch, cuisine, Happy Hour, location, North County Coastal, North County Coastal Breakfast, North County Coastal Weddings, Oceanside, Oceanside Harbor & Marina, Oceanside Restaurants, Oceanside Weddings, Restaurants, Wedding Venues. Posted October 27th, 2010 by Barry Berndes & filed under Banquets & Catering, Banquets and Catering, Buffet, East County, East County Restaurants, El Cajon, location, Restaurants, Steak House. Posted December 13th, 2009 by Barry Berndes & filed under 44th Edition OR, Banquets & Catering, Breakfast & Brunch, Casinos, Happy Hour, North County, North County Breakfast, North County Casinos, North County Inland Weddings, Rehearsal Dinners, Restaurants, Small Casinos, Valley Center, Wedding Venues. 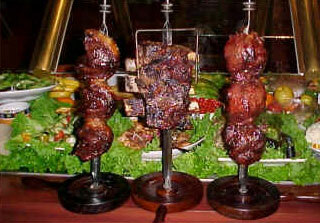 Casino Pauma is a North County favorite, because it’s smaller in size compared to the other casinos. This is a very appealing aspect for many people because big is not always better. You’ll also be greeted by a friendly door man with a smile and a warm greeting. Yes, Casino Pauma is a friendly place. A palm tree-lined road greets guests to Casino Pauma and its comfortable 42,500-sq. ft. facility. More than 1,050 state-of-the-art slot machines are featured here at Casino Pauma along with exciting table games including poker, roulette, ($5) blackjack 24-hours a day, Lucky Lady’s Bonus Blackjack, Emperor’s Challenge Pai Gow Poker, and no limit Texas Hold ’em tournaments. The Poker Room opens at 5 p.m. Mon.–Thurs. and at 2 p.m. Fri.–Sun. Posted July 17th, 2009 by Barry Berndes & filed under Banquets & Catering, Bay View, Boat Docking, Breakfast & Brunch, Coronado, Coronado Breakfast, Coronado Restaurants, Coronado Weddings, Corporate Meeting Venue, Featured, Featured on Main Page, Featured San Diego Restaurants, happy hour, Happy Hour, MCRD Graduation Party Venues, Party Venues, Rehearsal Dinners, Restaurants, Seafood, Seafood Fine Dining, Sushi, Wedding Venues. 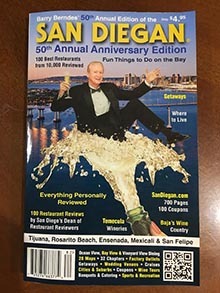 Posted July 17th, 2009 by Barry Berndes & filed under 44th Edition OR, Attractions, Attractions in Coronado, Banquets & Catering, Bay View, Beach Front Hotels, Breakfast & Brunch, Coronado, Coronado Breakfast, Coronado Restaurants, Coronado Weddings, Corporate Meeting Venue, Featured on Main Page, Getaways, Hotels & Resorts, Ocean View, Party Venues, Rehearsal Dinners, Restaurants, Staying in Coronado, Wedding Venues. Posted May 25th, 2009 by Barry Berndes & filed under American, American, Downtown, Downtown Restaurants, Gaslamp Quarter, Gaslamp Quarter Restaurants, Happy Hour, Mission Valley, Mission Valley Restaurants, North County, North County Coastal, Oceanside, Oceanside Restaurants, Rancho Bernardo, Rancho Bernardo Restaurants, Restaurants, Restaurants. Posted May 23rd, 2009 by Barry Berndes & filed under Asian, Asian Fusion, Banquets and Catering, Encinitas, Encinitas Restaurants, Japanese & Sushi, North County Coastal, Ocean View, Party Venues, Restaurants, Sushi.